After the Soviet Union’s withdrawal from Afghanistan and the USSR’s subsequent disintegration, Russia seemed neither interested in nor capable of securing a pro-Moscow regime in Kabul as was seen during the Cold War. In a move aimed at safeguarding its strategic back yard (Central Asia) from the rising menaces of drug trafficking and Islamic fundamentalism (non-conventional threats) emerging from Afghanistan, Russia accepted the American presence (a conventional threat) in the region post-9/11. However, any academic pursuit at understanding the Russian role in Afghanistan in perspective must incorporate efforts at grasping Moscow’s threat perceptions to its strategic interests emanating from Kabul. Russia has had both geopolitical and geo-economic interests in Central Asia. It considers Central Asia its strategic back yard and has a monopoly over pipeline diplomacy as it continued to supply the Central Asian natural resources through the pipelines existing since Soviet times. Russian role in Afghanistan has been shaped primarily by the threats to the region emanating from and facilitated by the latter. Post 9/11, the Russian policy has been evidently geared towards containing the American penetration into the region as well as preventing the Central Asian Republics from radical Islamic influences and drugs generating from Afghanistan. The American objective of laying down alternative pipeline routes for transfer of Central Asian resources to the world market through Afghanistan threatened Russia’s interests. It is noteworthy that the American strategy gravitated towards the Eurasian region not only with an aim to develop continental strategies to contain the regional influence of Russia, Iran and China given their geographical contiguity to Afghanistan and the Central Asian region, the natural resource potential also attracted the American attention. These objectives became the prime movers of US policy towards the region apart from the immediacy of the threat of terrorism which rose to prominence as being a national security threat. It is worth recalling that In a move to reach out to the Central Asian region, the US Congress started passing bills that called for diversification of energy supplies from the Central Asian and Caspian region starting from late 1990s. The Bush Administration soon after it formed the government released an energy policy report indicating that the exploitation of Caspian energy resources could not only benefit the economies of the region, but also help mitigate possible world supply disruptions which was considered a major US security goal. Russian lingering concerns remained that the flight of many Soviet Muslims during Stalin’s brutal collectivization campaign and nationalist purges created a permanent Soviet exile population in Afghanistan. After the disintegration of the Soviet Union and the resultant weakening of its control over the Islamic republics, Russia believed that a radical Islamic regime in Afghanistan would push these people towards the north. Secondly, the regime through its Islamic influences would use the exiled population to destabilize the newly independent Central Asian Republics. Rise of Islamic opposition groups in different Central Asian states strengthened such Russian belief. This apart, the collapse of the Soviet-era economies and the elimination of Soviet-policed borders led to a quick surge in the production and trafficking of drugs in the Central Asian region. Russia perceived substantial threat when the Taliban rose to prominence in Afghanistan. For instance, Sergie Ivanov, the head of Russian Security Council, threatened to lunch missile and air strikes against Afghanistan after accusing the Taliban government of assisting the Chechen resistance. Moscow further accused the Taliban of giving sanctuary to Islamists from some of the Central Asian states and allowing them to train for guerrilla warfare to destabilise the states. During the Afghan civil war, Russia kept pouring weapons and money in support of Uzbek and Tajik warlords. When the civil war entered a decisive phase, Russia in order to push the Taliban out of Tajik and Uzbek areas threw its weight behind Ahmad Shah Massoud who had bases in Tajikistan. However, many scholars viewed threat perceptions from all these sources were although relevant but deliberately exaggerated by the Russian authorities with an aim to exercise firm control over the former Soviet republics. The developments in Chechnya, Central Asia (civil war in Tajikistan) and Afghanistan were seen as part of a larger plot hatched by a secretive network of Islamic activists and terrorists whose main goal, according to Russia’s Federal Security Service has been to create a Great Islamic caliphate. However, scholars like Rasul Bakhsh Rais argue that the link between the Taliban and the Islamic movements in Central Asia was questionable. According to him all these movements have indigenous roots and Russia and the ruling elites in Central Asia exaggerate the transnational links among the Islamic movements to divert attention from their own political failures. After September 11, 2001, Russian leader Vladimir Putin not only described the terrorist attacks on the US by al-Qaeda as “barbaric” in a TV broadcast but also ensured Moscow’s cooperation, ranging from providing all the information at its disposal about terrorist bases to assuring Russian secret services’ cooperation with the West. Russia’s support for the US-led “war on terror” in response to 9/11 was evidently driven by its national interests apart from the despicable nature of the terrorist acts themselves. The Russian perspective on and support for the US-led Afghan war efforts were influenced by Moscow’s desire to cultivate international support for its concerns stemming from the uprising of radical Islamic forces in Chechnya. Second, Moscow believed that by cooperating with the US-led war efforts, it could overcome challenges posed by such destabilizing forces as the rise of Islamic opposition movements and drug trafficking in its Central Asian back yard. Third, in its support for the Afghan war, Russia saw an enhanced prospect for the Northern Alliance group coming to power in Afghanistan, and fourth, a relatively economically and militarily weaker Russia could not completely insulate itself from the US call for a “war on terror,” as it was trying to reset its relations with the West after the disintegration of the Soviet empire. Moscow had supported the Northern Alliance against the Taliban in terms of arms and economic aid during the Afghan civil war, and to ensure the Northern Alliance group’s rise to power, it provided key support to the alliance during the “war on terror.” For instance, the Russian provision of 60 T-55 battle tanks, 12 T-62 K command tanks and 30 infantry fighting vehicles to Northern Alliance during the war bears testimony to this fact. However, Russian support for the American-led Afghan war was far from being full-fledged and unconditional. As the US and its NATO allies were drawing close to the areas of Moscow’s strategic interests, suspicions over US geopolitical objectives became visible at the same time, immediately after the American declaration of the war, when then-defense minister Sergei Ivanov ruled out any presence of the North Atlantic Treaty Organization (NATO) in the region and the Chief of the General Staff, Anatoly Kvashnin, remarked that Russia had no plans to participate in a military operation against Afghanistan. Russian suspicions remained as to the intensity of the US engagement with the Central Asian states in the guise of taking on terrorism within the framework of “Operation Enduring Freedom.” In order to secure a firm foothold in Central Asia, the US not only secured temporary forward basing in Uzbekistan, Kyrgyzstan and Tajikistan, strategic engagement in the region was also fostered through access to airspace and restricted use of bases in Kazakhstan and Turkmenistan. There were frequent instances of US official visits to Central Asia, intelligence sharing and improved coordination within the US Central Command. Further, American interest to revive the Turkmenistan-Afghanistan-Pakistan-India (TAPI) pipeline project in 2002 in an attempt to end Russian monopoly over supply routes to transfer Central Asian resources, which was undergoing uncertainties due to the turbulence perpetrated by the Taliban, corroborated Russian suspicions over US geopolitical interests. As the American entrenchment in the Central Asian region deepened, the countries of the region were asked to fulfill their bilateral and other obligations to Russia. Dmitry Rogozin, during his stint as a Russian envoy to NATO between 2008 and 2011 took efforts to make it clear that Russia wanted to help the US and Afghanistan as part of the international community but on its own terms. Around the same time, Russia although did not object to in principle but viewed skeptically several new transit corridors laid down by the US to deliver goods to its forces in Afghanistan (the routes are collectively termed the Northern Distribution Network), and emphasized that these must not be used to transfer lethal goods. On the other side, many US officials were envisaging the network being transformed into a Modern Silk Route. In response to the US military bases in different parts of Central Asia, Russia established its own bases, but their direct contacts were surprisingly limited. In response to the greater role of the US in the region, Russia called for a larger role of regional organizations like the Shanghai Cooperation Organization (SCO) and Collective Security Treaty Organization (CSTO) in securing security and stability in Afghanistan. 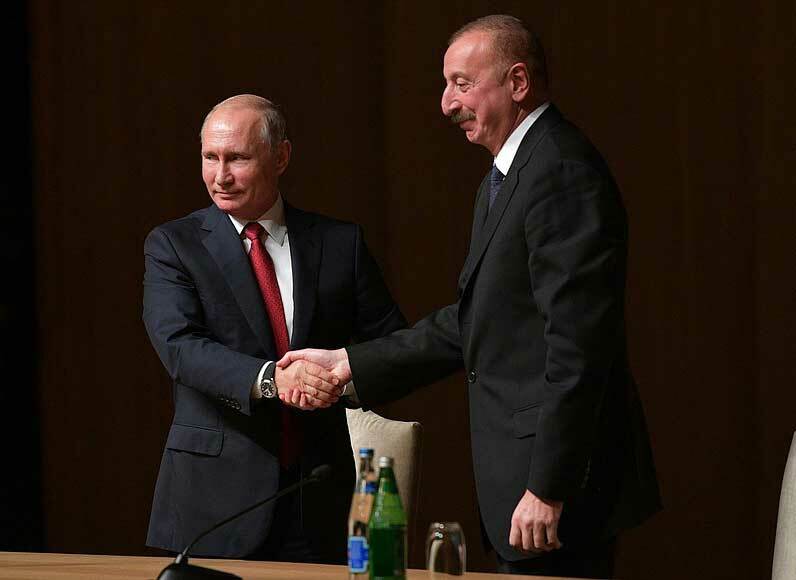 Perhaps because of Russia’s overriding influence due to its monopoly over oil supplies, the Central Asian states agreed to strengthen CSTO as an alternative to NATO. In one of the top-level summit meetings, in 2011, the CSTO leaders unanimously agreed that countries outside the regional security bloc would only be able to establish military bases on the territory of a member state with the consent of all member states. Responding to the evolving Afghan scenario, Russia not only made efforts at diplomatically engaging successive Afghan governments, it attempted to establish itself as a major stakeholder in the Afghan peace process too. 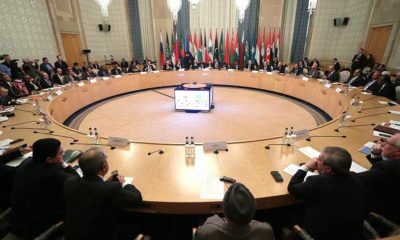 Being excluded from the Quadrilateral Coordination Group to broker peace of which the US, China, Pakistan and Afghan government are members, Moscow opened up its channels to play its part in the Afghan peace process taking other regional countries and the Taliban on board. 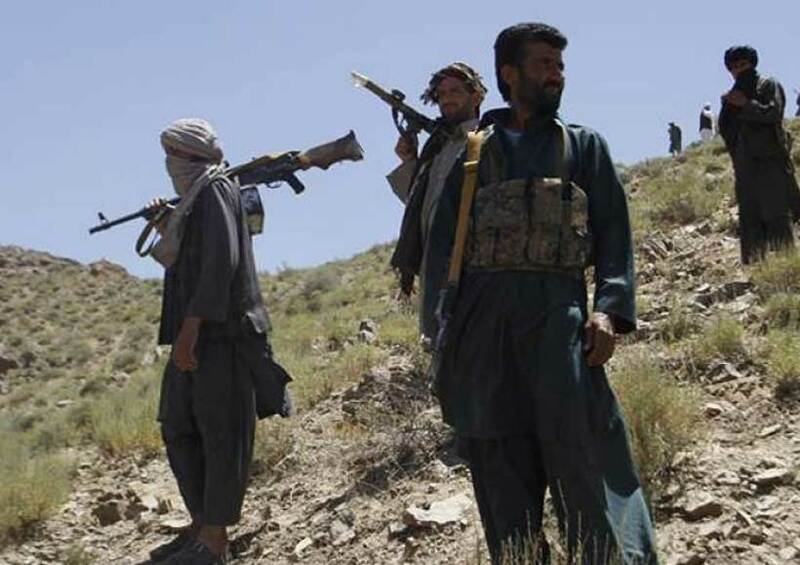 Realizing the geopolitical importance of the outcomes of regional war and peace efforts, Moscow has allegedly shifted its support from the fragmented Northern Alliance group to the Taliban in order to strengthen its Afghan role. Washington believes that Moscow is channelizing its support toward the Taliban to impede the peace process in Kabul and roll back progress made by US-led forces and drive a wedge between the US and its coalition partners, while Moscow keeps denying allegations of its support for the radical group. US State Department officials, however, have expressed concerns over Moscow’s failure to work with Washington in Afghanistan, and some US military officials on the ground have not hesitated to accuse Russia of providing arms to and sharing sensitive intelligence with the Afghan Taliban. As things stand now, Russia has admitted to opening up channels of communication with the Taliban with such objectives as protection of Russian citizens in Afghanistan, promotion of peace in Afghanistan and above all, containing the influence of ISIS – which is considered by Russia a more dangerous threat to the Central Asian region because of its transnational objectives and role.The Taliban’s quick agreement to join Russian-led peace talks scheduled to be hosted by Moscow on September 4 this year indicated Russia’s outreach to the group. Washington’s rejection of Russia’s invitation to participate in the peace efforts underlined geopolitical suspicions of each other’s intentions. 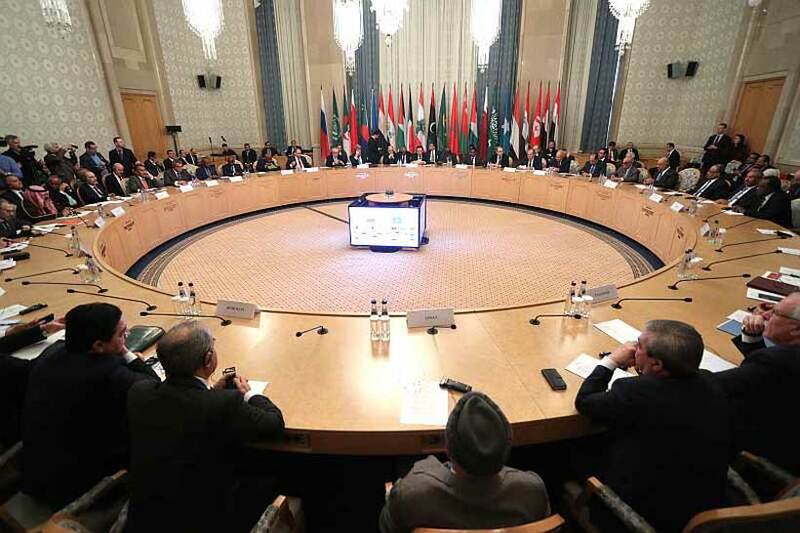 The Russian leadership, however, postponed the talks to facilitate the participation of the Afghan government and other stakeholders in the peace process. Russian intelligence has projected that ISIS has an enhanced presence in Afghanistan with around 10,000 fighters including many foreign fighters (those fleeing Syria after being recruited from the Central Asian region) spread across eight to nine provinces, including its sway in the northern province of Jowzjan, which shares a border with Uzbekistan and Turkmenistan, carrying a dangerous portent for the Central Asian states. Moreover, Russian officials have argued that the radical group has been able to recruit many people from the Central Asian region, posing a serious threat to Russian security concerns. Moscow has also been seen praising the Taliban’s efforts at containing drug trafficking into Russia’s back yard. Nonetheless, given its lingering suspicions of US geopolitical intentions, Russia may be using its support for the Taliban as a hedge against growing American influence in the region. Moscow has rejected Washington’s estimate that the numerical strength of ISIS varied from 1,500 to 2,000 and disputed the claim that the group’s influence was limited to such provinces as Nangarhar, Kunar and Nuristan and consisted of only local defectors from the Taliban and other militant groups. Moscow has allegedly charged the US with sharing common interests with ISIS in keeping Afghanistan embroiled in instabilities and disorder so that it could have a permanent military presence in the region. The geopolitical rift between the two powers has been further exacerbated by continuing US sanctions on Russia, which will have impacts on the peace process in Afghanistan. 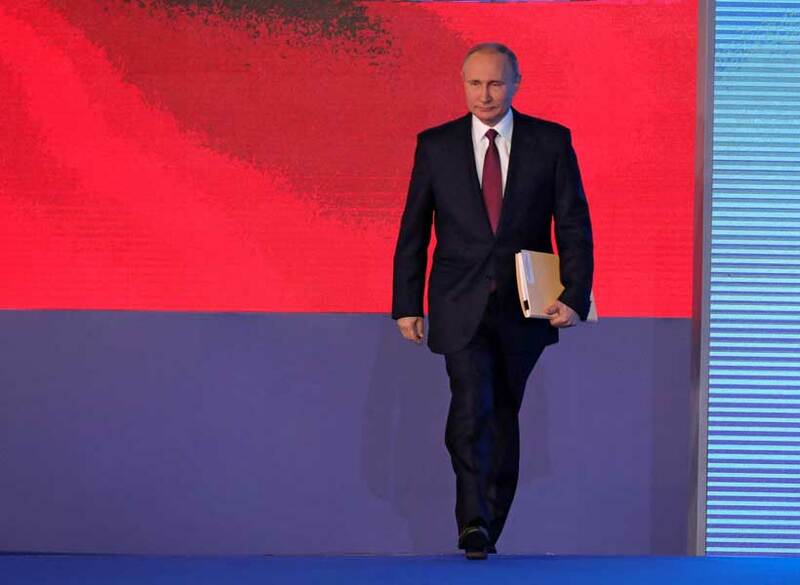 Meanwhile in Syria, Russia has stepped up its support for the Damascus regime by supplying S-300 missiles, and Idlib continues to be a hotbed of geopolitical jostling for influence between Moscow and Washington. Afghanistan, as another site for their scrambling for geopolitical supremacy, will continue to witness an enhanced role of Russia, preventing cooperation between the two powers unless Moscow’s regional geopolitical claims are counterbalanced by a global US geopolitical role.